Four Indiana State University juniors have been honored with the Richard G. Landini Outstanding Junior Award for their achievement and service. The award, named for Indiana State's eighth president, 1975-1992, is presented to distinguished juniors for their commitment to the university. To be eligible for the Landini Award, students must have a minimum GPA of 3.25, are required to write an essay detailing the reasons they live up to the ideals and values of Indiana State and must be recommended by a faculty or staff member. This year's recipients also exhibited exceptional campus involvement. 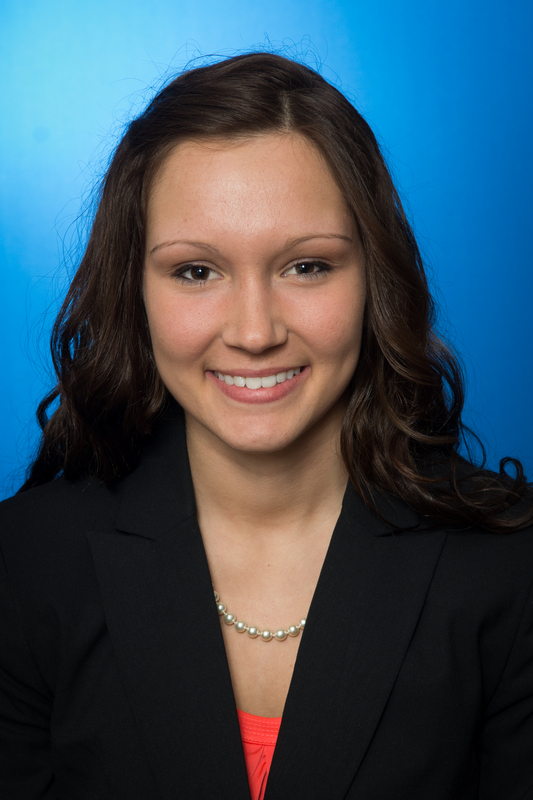 Brandy Protz of Terre Haute is an athletic training major with an applied medicine concentration. "I am thankful every day that I have the opportunity to attend Indiana State University, where I am able to receive a valuable education as well as participate in clubs, organizations and community service," Protz said. "I am passionate about my education, and I am excited every day to learn something new." Protz has been involved with campus organizations such as church youth groups, Sycamore Leadership Coalition, Athletic Training Student Association, Sycamore Ambassadors and the President's Scholar Association. She has also served as the assistant director of marketing and public relations for the Indiana State Eco-Marathon Team and is head of driver operations for Sycamore Racing. 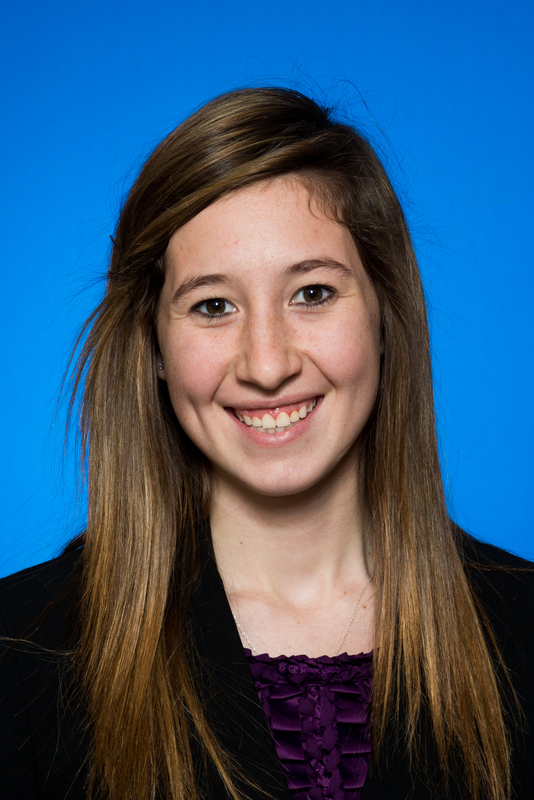 She is a member of the President's Scholar Association and 8:58, a faith-based youth group. Kelsey Darin of Port Byron, Ill., is a Spanish major. Darin has been a member of the Sycamore Ambassadors program since 2013 and will serve as president next academic year. She is also part of the State Dance Marathon student organization in the position of entertainment chairperson. While maintaining a 4.0 GPA and being a part of various student organizations, Darin holds two campus jobs as a research consultant to economics Professor Robert Guell and a supplemental instructor of economics. Darin has worked for the Library Page at River Valley District Library to help with their publicity needs. "I feel incredibly honored to have been chosen as one of the recipients of the Richard G. Landini Outstanding Junior Award," Darin said. "To me, this award is not only recognition of what I have accomplished at the university, but also a challenge to continue my involvement in my remaining time at Indiana State University. I work diligently in my courses and tirelessly in extracurricular activities because I am passionate about them, but it is flattering to know that other people respect my efforts. This honor holds me to a high standard, but I happily accept this responsibility and look forward to seizing future opportunities." Evan Alexander of Terre Haute is an honors student with a major in chemistry and a minor in Spanish. He is the recipient of the Rural Health, Stanley and Union Hospital scholarships and earned the Organic Chemistry Student of the Year Award. 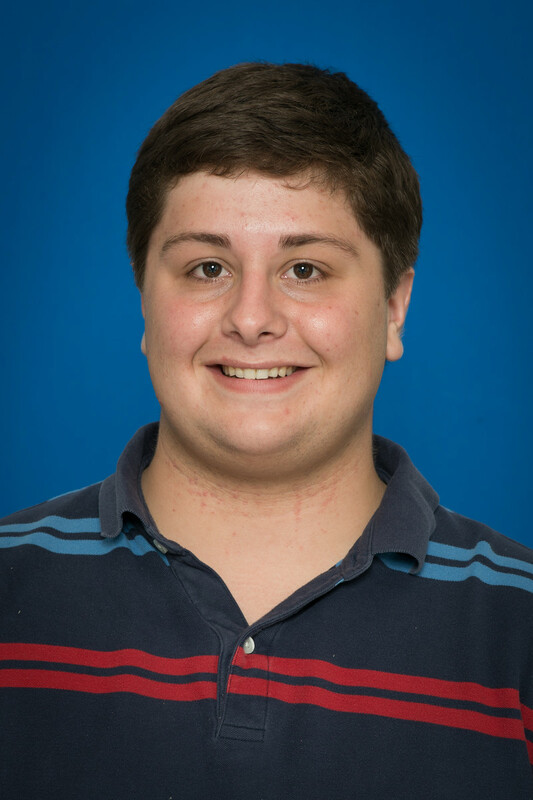 Richard Kjonaas, professor emeritus of chemistry, wrote in a letter of recommendation, "Evan was a clear standout not only in the lecture and lab, but also in the honors workshop associated with the lecture." Outside the classroom, Alexander has worked in various jobs, including at Union Hospital, the Harsha Behavioral Center and in the chemistry department as a teaching assistant and tutor and has studied abroad. Alexander is also a member of the Sigma Alpha Epsilon fraternity and Pre-Med Association. "I have made unbreakable bonds with many people that I have met here. Terre Haute is my hometown. All three of my older siblings have attended Indiana State. Because of this, Indiana State will always have a special place in my heart," Alexander said. Seth Jines of North Vernon, Ind., is pursuing a music education degree. He is a member of the National Association for Music Education, Student Government Association and Music Student Association. He has also volunteered at the Kentucky Center for the Performing Arts. Jines is employed as a student accompanist and student instructor of piano at Indiana State. He is also the pianist for Rush Branch United Methodist Church. "This is truly an honor to receive this award from the alumni association and the university," Jines said. "Everyday I am reminded about how much President Landini did for Indiana State, due to the building that I spend the most time in - the Landini Center for the Performing and Visual Arts - is named after him." The award, named for Indiana State's eighth president, 1975-1992, is presented to distinguished juniors for their commitment to the university.